After his exhibition at Foam (December 2013 - March 2014), the legendary photographer, filmmaker and designer William Klein offered exclusively for Foam Editions five different limited edition prints from his New York series. 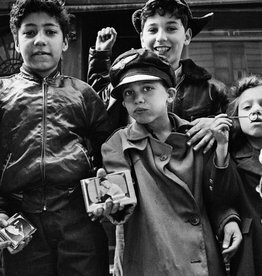 William Klein made the images in New York in 1955. 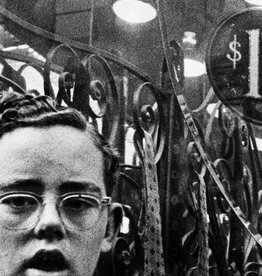 The photos are characteristic for Klein's oeuvre, filled with grainy, brusque pictures that depict the city in a way that has never been seen before. They have a ruthless realism and at the same time visually reverberate the psychological, social and economic mood of that time. 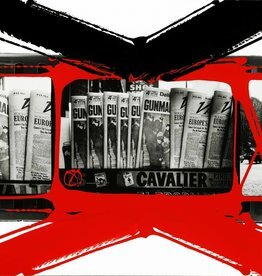 The career of William Klein (b. 1928) spans more than sixty years. His work had an enormous influence on photography during the second half of the twentieth century. Throughout his long and extremely productive career, he has always remained his own self: independent, unconventional and enigmatic, but exceptionally talented in everything. 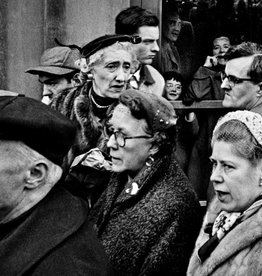 William Klein's work has been exhibited in numerous art museums and galleries worldwide, for example in Italy, France, Russia, Spain and Germany. A retrospective exhibition of his work was on show in 2013 at the Tate Museum in London. It is not allowed to buy more than two prints of the same image, neither to use the prints for commercial purposes.